‘Some eat to live and some live to eat’, if you are a foodie, you’ll agree that the latter are the happiest. Food and music have been bringing people together, since forever. George Bernard Shaw once said that there is no sincerer love than love of food and how truly so. Hold your tongues as we take you on a gourmet journey to savor the myriad of cuisines from around the world. 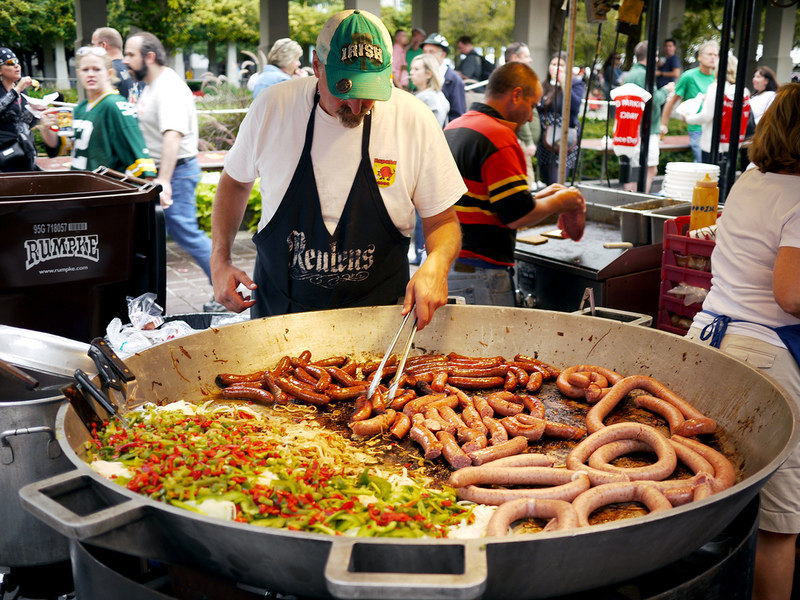 Here’s a list of top 7 food festivals around the world, so forks out! World’s biggest food fight, Tomatina is a war of squished tomatoes. It dates back to 1945, when an angry participant of Giants and big-heads march, in a fit of rage started pelting people with vegetables. In the subsequent years many locals of Bunol replicated and re-created that scene with tomatoes which finally led to the officials recognizing it as an official festival. Since then, Tomatina has garnered a lot of attention and popularity and every year, thousands and thousands of people from around the world travel to Spain to be part of this festival. La Tomatina is one of its kind food festivals and definitely deserves the top slot in this list, food festivals around the world. This festival dates back to 1810; an important part of the Bavarian culture, Oktober Fest is locally called Wein. This is an annual folk festival which is also the largest Beer festival/Volksfest. It is a 16 day festival, held towards the end of September and goes on till the first week of October. Oktoberfest is one of the most popular food festivals in the world and hence is replicated and celebrated in other parts of the world too. Food plays a large part in this festival. Traditional roast chicken, roast pork, ham, sausages, bread, pretzels, and grilled fish are some of the most popular dishes of this festival. ‘Cheese is milk’s leap towards immortality’ and the English take their cheese very seriously! Thus began the Great British Cheese festival. Celebrated in the month of September. 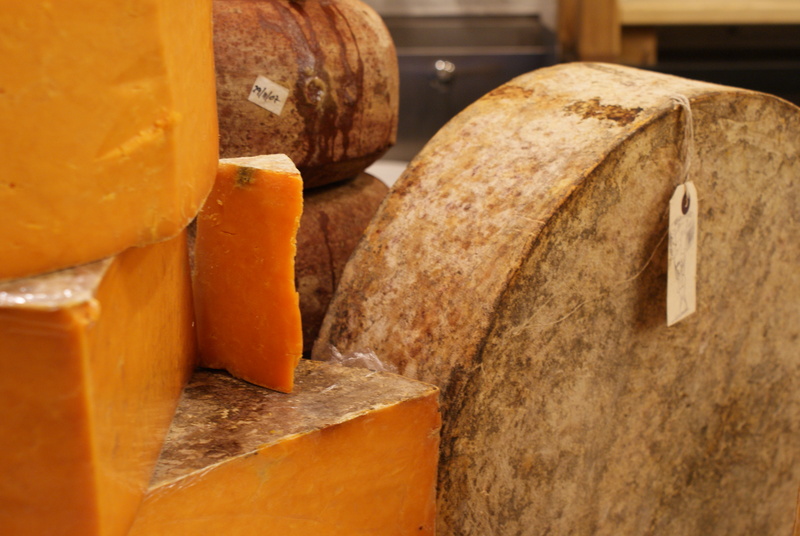 There are more than 4000 cheeses on display, some local favorites and some exotic. This festival is preceded by the Annual British Cheese awards. This festival is celebrated to recognize, appreciate, and showcase the hard-work of cheese makers in the country. This is definitely the cheesiest food festival around the world! This is an annual festival which celebrates Mangos! A 2 day festival held in Delhi, India in the Indian summer month of July features some of the most exotic, juiciest, and fresh Mango produce in the country. It started in the year 1987 and is organised by the Delhi Tourism and Transportation Development Corporation (DTTDC) in collaboration with the Agricultural and Processed Food Products Export Development Authority, the National Horticultural Board. Quizzes and competitions are a part of this festival that helps people to become more aware of the various kinds of mangos that are grown in the country. This is one of the juiciest food festivals of the world that one shouldn’t miss! The Singapore Food Festival is an annual event held to celebrate the local flavor of Singapore. The month long celebrations allows one to experience the rich and vibrant cuisine of Singapore. The Singapore Food festival is a perfect amalgamation of local culinary talents and modern interpretation of these local flavors. This is another highly popular food festival of the world. Lobster festival was initially started in Maine, Rockland to revive summer activities and to bring back the spirit and cheer of summer. This is an annual festival which is any sea-food lover’s dream come true. Maine Lobster Festival celebrates the scrumptious and delicious feast of crustaceans on the coast of Maine. Who can refuse delicious food and a glass of fine wine? This festival celebrates fine dining and wining and there is nothing to whine about this one! Brain child of Peter Clemenger, this food festival has come a long way since 1993 and is now one of the most popular food festivals in the world today. Great web websitewebsite! It looks very good! Maintain the helpful work!